Virginia Avenel Henderson's national and international achievements made her the quintessential nurse of the twentieth century. Her professional career was launched in Virginia where she served as the first full-time nursing instructor at Norfolk Protestant School of Nursing and took an active role in the state nurses association. 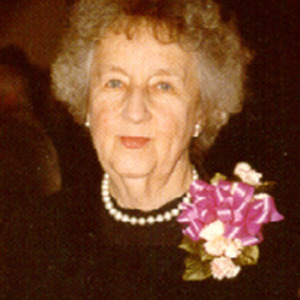 A pioneer nurse educator, Henderson was instrumental in pushing for the inclusion of psychiatric nursing in educational programs in Virginia. "Henderson through her efforts as an author, researcher, scholar, consultant, and beloved teacher has touched the minds and hearts of thousands of nurses. In reading her writings, in listening to her speak, one is impressed with the clarity of her vision, prose, and insight into the nature of nursing's relations to patients." Biographical Text: Virginia Avenel Henderson has been called the "first lady of nursing" and the "first truly international nurse." Her writing, presentations, and research and contacts with nurses have profoundly affected nursing and impacted the recipients of care by nurses throughout the world. She began her career in public health nursing in the Henry Street Settlement and in the visiting nurse service in Washington, D.C. She was the first full-time instructor in nursing in Virginia when she was at Norfolk Protestant Hospital in Norfolk. While in the state, she was active in the Graduate Nurses Association of Virginia. She designed a plan to create district organizations within the state. Henderson was an early advocate for the inclusion of psychiatric nursing in the curriculum and served on a committee to develop such a course at Eastern State Hospital in Williamsburg, Virginia, in 1929. During her years at Teachers College, Columbia University, Henderson was an outstanding teacher and drew students from many countries to study with her. Nurses throughout the United States studied with her without ever leaving their home schools when her revision of Bertha Harmer's Textbook of the Principles and Practice of Nursing became widely used. Other important publications grew out of Henderson's years at Yale University including Nursing Research: A Survey and Assessment written in collaboration with Leo Simmons. She also directed a twelve-year project entitled Nursing Studies Index, four volumes recognized as an essential reference for many years. Henderson's book, Nature of Nursing, published in 1966 expressed her belief about the essence of nursing and influenced the hearts and minds of those who read it. The honors bestowed on Henderson are numerous. To mention just a few, she held honorary degrees from thirteen universities; she was selected for the American Nurses Association Hall of Fame and had the Sigma Theta Tau International Library named in her honor. She was honored by the Virginia Nurses Association in 1988 when the Virginia Historical Nurse Leadership Award was presented to her. 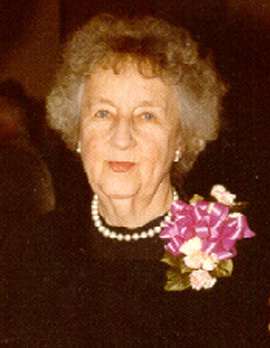 In 2000, the Virginia Nurses Association recognized Henderson as one of fifty-one Pioneer Nurses in Virginia. “Virginia Avenel Henderson,” VCU Libraries Gallery, accessed April 22, 2019, https://gallery.library.vcu.edu/items/show/77970.